More fun with seafood and fish lasagna recipes! As mentioned before, lasagna is a great way to enjoy seafood; naturally there are also many different recipes to make this. In this section of our site, we present you with seafood lasagna recipes that you can choose from for your next seafood meal. 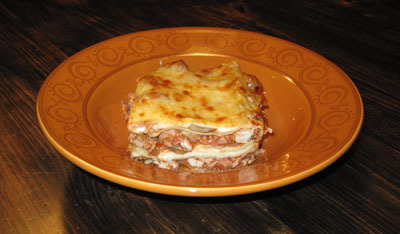 For meat lasagna recipes and vegetarian lasagna recipes go back to main page and visit that section of this site. Although slightly pricier than the other types of lasagna, making seafood lasagna is not any more difficult, and it certainly brings an aspect of classiness not found in the others... 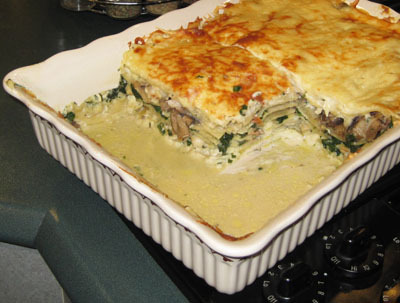 These seafood lasagna recipes presented on this section will show you how much variety there can be in this area; the main point of course is to always use the freshest seafood ingredients you can find, and you won't be disappointed. Any suggestions or comments, how can we make improve our site?